Rome is an excellent location to start concerning the topic of propaganda; The Roman Empire, The Catholic Church, The Fascism of Mussolini, etc., all have an element of desire as their weapon of control. 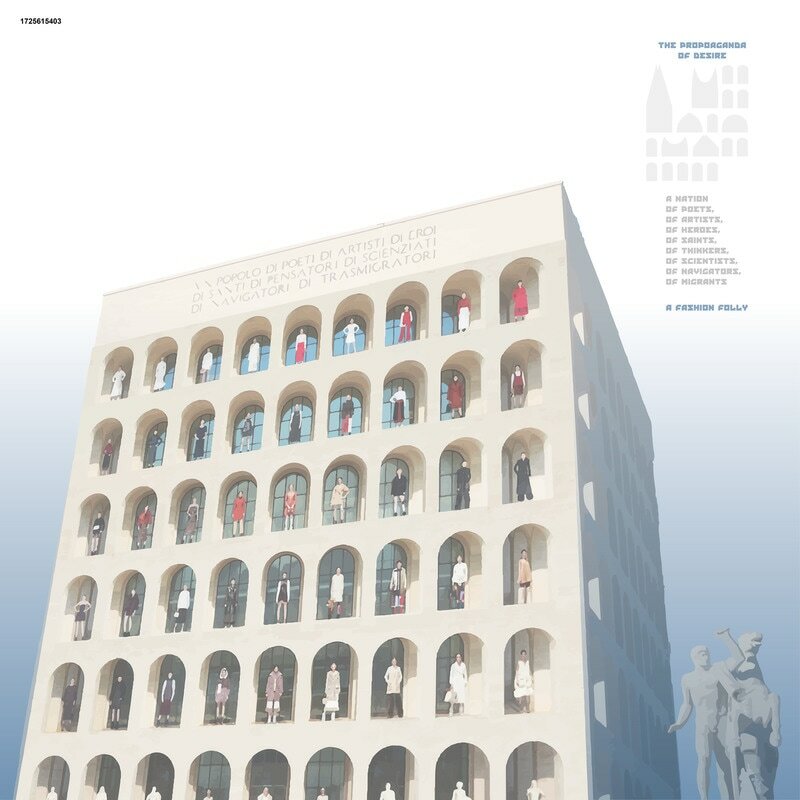 The Palazzo della Civiltá del Lavoro, (Square Colosseum) was designed in 1937 and was inaugurated on November 30, 1940. It was planned as the centerpiece for the 1942 World Exposition as a symbol of Fascism for the world, celebrating twenty years of Mussolini’s reign as Prime Minister, (Dictator) of Italy. The exposition was cancelled on June 3, 1941 because of World War II and the Square Colosseum stood empty and abandoned for over a decade. The building opened its doors to the public for the first time in 1953. The Square Colosseum may have been dormant for a period of time, but the structure has always projected the bold representation of the propaganda machine Mussolini constructed nearly a century ago. Could a reimagined, reinterpreted and repurposed Square Colosseum be seen as a vision of the propaganda of desire? The propaganda machines of the Romans, the Catholic Church, the Nazis and Mussolini was all about the yearning for uniformity. The inscription atop the four facades of the Square Colosseum is taken from a Mussolini speech: “A nation of poets, of artists, of saints, of thinkers, of scientist, of navigators, of migrants.” This inscription seemingly contradicts the idea of fascist uniformity and promotes an architecture of diversity. Our Fashion Folly redesigns all exterior and interior facades with a series of new and existing archways as a means to give the Square Colosseum both a landscape and an architecture for the implementation of radical preservation. The radical preservation of the Square Colosseum allows both for a historic reading of its origins and an alternative viewing of the new programs of twenty-first century fashion. 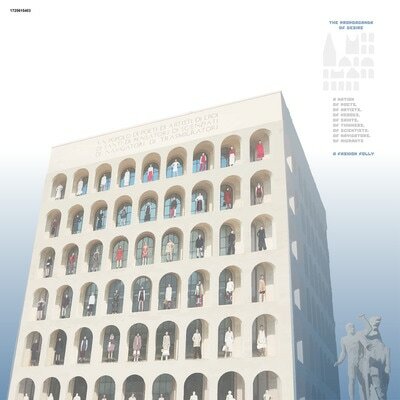 Fashion is ever changing with the times and with culture, etc., can an architectural monument also adapt in such a way? The Fashion Folly is a proposal of the ephemeral and therefore a propaganda of desire which cannot be controlled by an individual or by a nation. The propaganda of desire is contagious, wild and most importantly free. 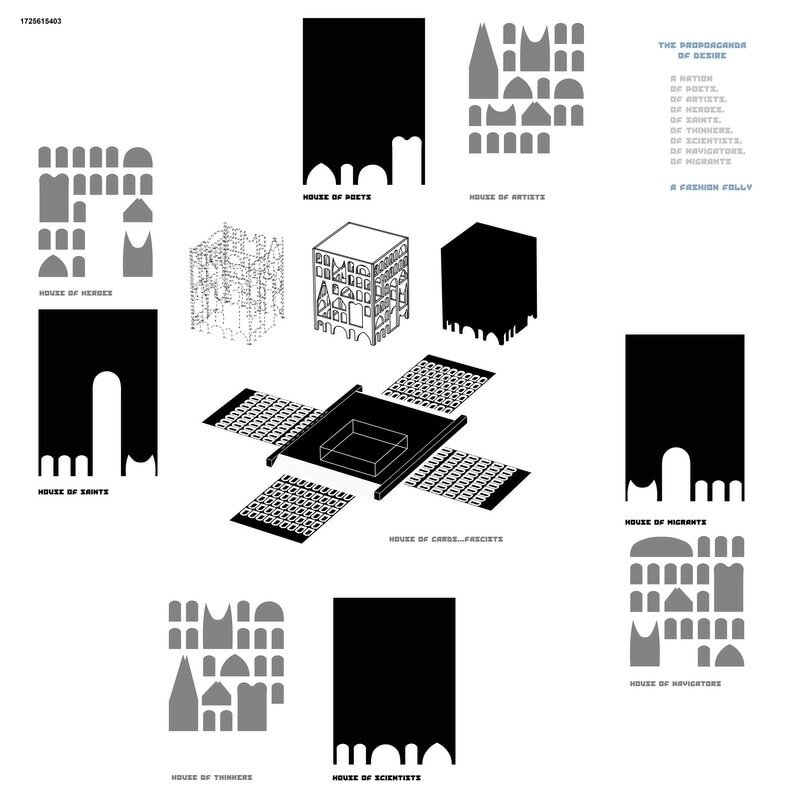 The Fashion Folly of the Square Colosseum produces nine houses.